Today is International Nurses’ Day, so I thought I’d dedicate this post to fertility nurses. When people think about different fertility clinics, there’s always a focus on the consultants when in fact although they are in charge of a patient’s care, they may do very little of the day-to-day care during a cycle of treatment. It’s often the consultants who attract patients to one clinic or another, and yet it may be the nurses who can make a real difference to how you feel during your fertility treatment. Different clinics have different ways of working, but nurses may carry out scans and check bloods as well as doing much of the more practical dealing with fertility patients. 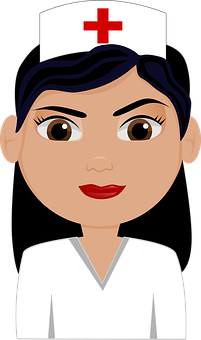 More often than not, a fertility nurse will teach you how to do your injections, will talk to you about how you are feeling, will be there at the end of the phone as a first port of call for your questions or queries. It’s also the fertility nurses who may notice when you are finding it hard to cope and who may suggest a session with the clinic counsellor. This entry was posted in fertility, Fertility clinics, IVF and tagged fertility clinic, fertility nurses, infertility, IVF by fertilitymatters. Bookmark the permalink.